A great step by WhatsApp to stop fake news in India. Komal Lahiri will be Grievance Officer. In order to prevent fraudulent news spread over Whatsapp, the company has appointed a Grievance officer (complaint disposal officer) Komal Lahiri in India. The responsibility of Komal Lahiri is to remove the news and complaints being spread by the users on Whatsapp. 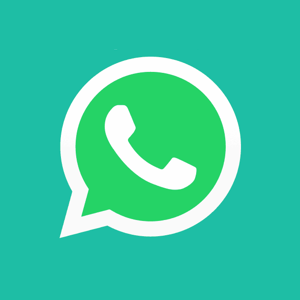 According to a media report, in the settings of Whatsapp app, by the FAQ section can be contacted directly by the company's support team. Any trouble coming to the user can be directly sent to the official by email. Users can get help from Komal Lahiri through app or email. According to the Linkedin profile of Komal Lahiri, she is the Senior Director of Whatsapp, Global Customer Operations and Localization Department. At present, the company has not announced the appointment of Komal Lahiri. But on the company's website, Komal Lahiri has been shown as a Grievance Officer. Let us know that the Komal Lahiri lives in America but he will handle the issues of Whatsapp Fake News in India. According to news, the Komal Lahiri was appointed as Grievance Officer by the end of August. According to the Whatsapp website, users can contact directly with the company's support team. For this, they have to go to settings. If the customer wants to take their complaint forward, they can talk directly to the Grievance Officer. The Modi government gave a strict message about Fake Message on Whatsapp. The Modi government asked the company to work in India to create corporate units to find a technical solution to locate the original source of Fake Message. On this matter, IT minister Ravi Shankar Prasad also met Whatsapp's chief Chris Daniels. Ravishankar had said that WhatsApp has been asked to make a company to stop Fake News in India. Also, it has been asked to find out the original source that spreads any fake message. Apart from this, Ravi Shankar said that finding the source of any message is not a rocket science. Just the Whatsapp app should have a mechanism to detect it.